Specs: Carbon steel Externally adjustable X Mark Pro Trigger 1 1/16" - 16tpi thread. Please note that this package does not include the receiver plug screws, recoil lug, trigger guard, screws or any magazine components. The Remington 700 is still considered by many to be the most accurate out of the box rifle ever made and the standard by which all other bolt actions are measured by. This legendary rifle begins with the action and a rock solid receiver. The Remington Model 700 S/A Receiver is drilled and tapped for scope mounts and houses the adjustable X-Mark Pro Trigger that breaks like glass. 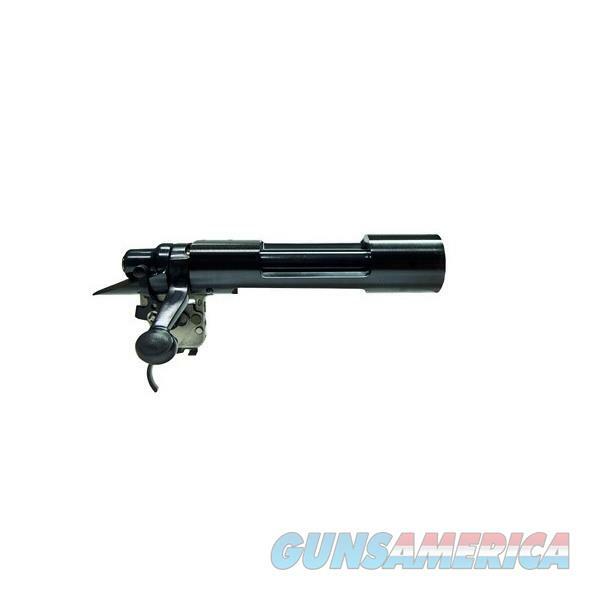 It fits all of the ultra magnum long action calibers and comes with a .300 Ultra Magnum Bolt Face. Factory-Original, Current Production Of The Highest Quality. These receivers are from a current factory production run and meet the latest design specifications and quality control standards at the Remington factory. Each is precision-machined from either carbon steel or stainless steel barstock for uniform strength, drilled and tapped for scope bases, and ready to accept your choice of custom barrel and bottom metal. Remington's famously smooth-cycling bolt assembly features two, up-front bolt lugs for tight lockup and reliable pressure retention, plus traditional 2-panel checkering on the bolt handle. With barrel installed and chambered, the recessed bolt face encloses the cartridge head in three rings of steel for exceptional strength, a snug cartridge fit, and precise alignment with the bore. A rivetless, circlip-type extractor provides positive case extraction. And, the heavy-duty, spring-loaded, plunger ejector clears the action quickly and reliably. But that's not all...each action is equipped with Remington's new, state-of-the-art, X-Mark Pro trigger for improved trigger pull and easy adjustment. The easy-to-reach, two-position thumb safety has been made more robust, engages quietly to prevent game-spooking, and allows unloading while in the “safe” position.